Do you want a ZMR250 style frame with lots of room for mounting electronics but in a traditional X style like the now famous Impulse Rc Alien frame? We might have what you are looking for and for less than 1/2 the price. 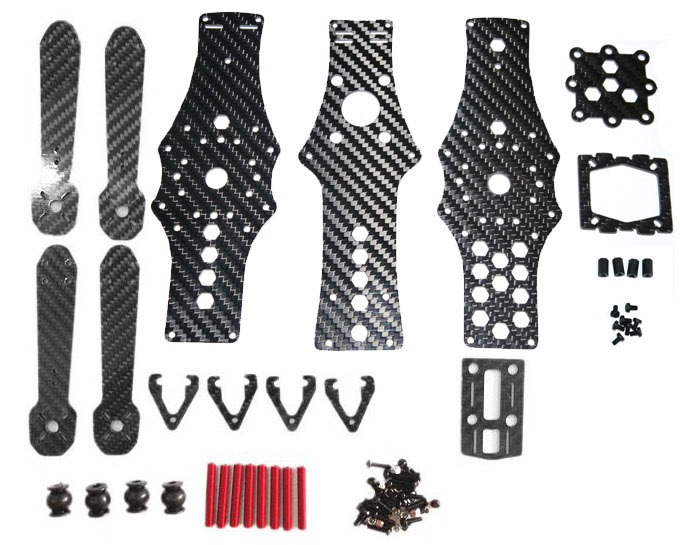 The PFG Alien Wannabe consists of all the stock parts of the ZMR250 except the 3 main plates and FPV cam plate and we include our slimmer, shorter, lighter main frame plates plus an FPV cam plate and a FC moutning plate. It also gets the frame down to 210mm.